“When I Think About Myself,” Just Give Me a Cool Drink of Water ‘fore I Diiie (1971). 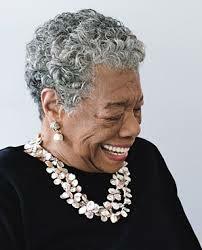 I won’t diminish her passing by regurgitating the countless “Maya Angelo Fun Facts” that have overwhelmed Facebook and Twitter today. Dr. Angelou inspired me to explore my deepest insecurities, fears, and emotions in a stereoscopic perspective that has and will continue to inspire me as a writer, father, and husband.